Fergus joined the team in 2004, and earned more than 650 points in his first tournament with us. Despite his speed, he has proven to be remarkably cool and focused under pressure--we know we can count on him in a pinch and over a long weekend. Fergus is our littlest guy--with the biggest heart. 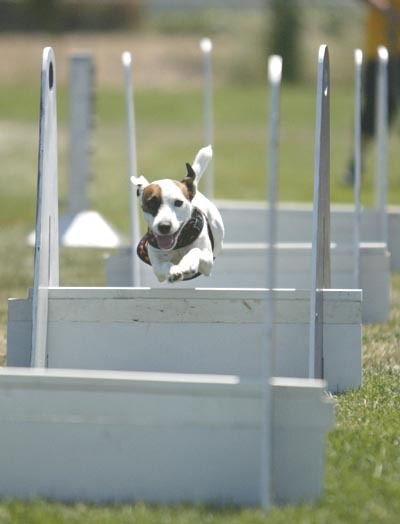 He has run on multiple teams in both NAFA and U-Fli, running in a variety of positions and passing dogs of all sizes and personalities. He puts his all into racing and helps his team bring home the win! This page last updated May 2, 2010.